This gift guide is dedicated to Annabelle. She's occasionally featured on Blissfully Brooke, but if you don't know her, she's my little sister and my favorite human on this planet. 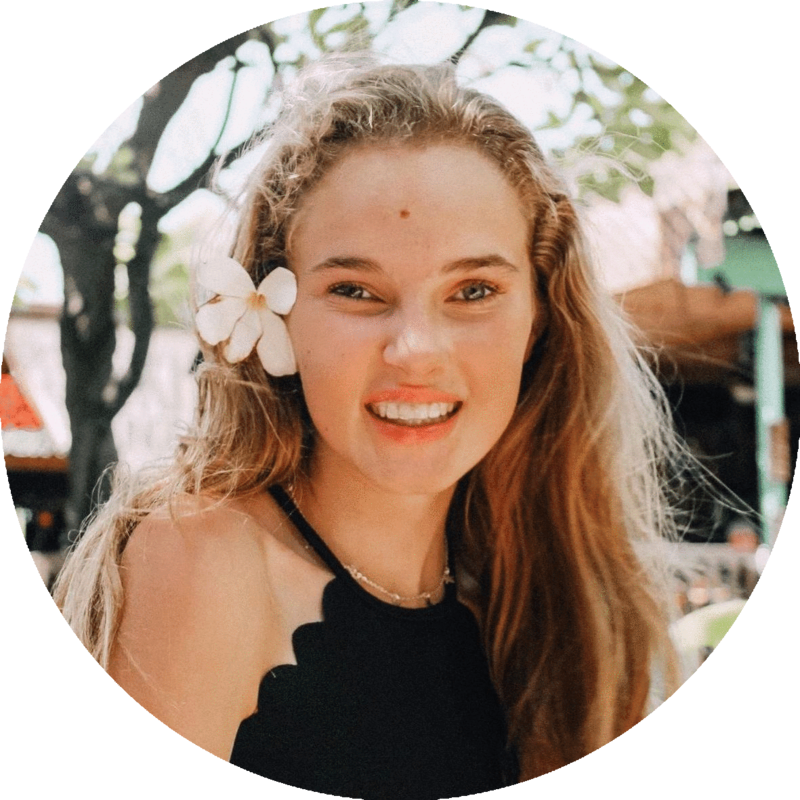 I thought it would be fun to get her input on the best gifts to give, so today, I'm sharing some items that she loves and some gifts she recommends... basically everything she owns that makes her innately "Annabelle." 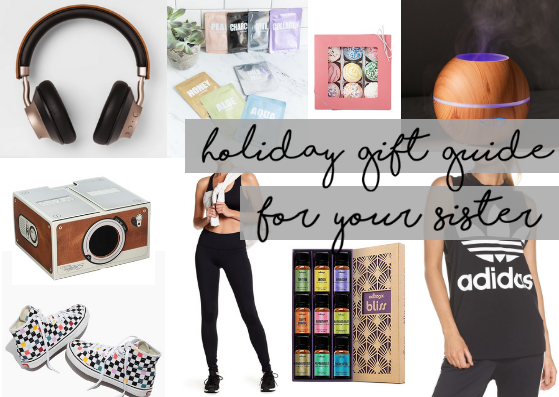 This gift guide is perfect for your little sister, best friend, older sister... pretty much anyone! Annabelle is eleven but she is mature beyond her years; she is an old soul and is eleven going on thirty. She is the funniest person I know, and if you've ever had the joy of meeting her you'll understand just how uniquely perfect she is. I always joke that Annabelle is like a guy when it comes to sneakers. She is so protective over her Vans and obsessive about keeping them clean. I always know she'll appreciate a good pair of sneakers, whether they're Vans, Adidas, Nike... anything. Annabelle is a huge fan of skincare and loves anything related to bath bombs, face masks, lotion, etc. So many companies have big skincare gift sets now, which make for great gifts! Of course, you could also put together your own gift basket full of little skincare knick-knacks. Annabelle's style is really sporty: her favorite brands are Nike, Zella, and Adidas. She constantly lives in Nike shorts, an oversized t-shirt and sneakers. She also wears these Zella leggings constantly - enough to the point where I added them to my own Christmas list! Annabelle is very much into the holistic scene: she loves all things wellness, one of them being her essential oil diffuser. She has an arsenal of oils that she puts in her diffuser every night. I have no idea what the different oils do (I think lavender is calming?) but she loves her diffuser and her oils. Annabelle is always on her phone, and I know tech accessories will always be a great gift to get her, whether they be wireless headphones, a popsocket, or a new phone case. Last year I got her this smartphone projector, which makes for such a fun gift! I asked Annabelle if there were any other items I should include in the gift guide. She said "something unexpected... like an Easter basket. Everyone needs that moment of surprise on Christmas morning." So there you have it... get everyone on your list an Easter basket this year! Or Halloween candy. Whichever works. For more gift ideas, be sure to check out the Holiday Shop page on my blog, as well as this Warm & Cozy Gift Guide! What gifts do you typically buy for your sisters? Leave some more ideas in a comment below!